Now that Vadim Zaitsev has been appointed head of Cosmos TV, peaceful Belarusians can fall asleep serenely in front of their TV – no ideological saboteur will now get to their TV screens. Vadim Zaitsev, the person who happened to head the Belarusian KGB in the country's most critical time, as well as the Committee for State Security – during the December 2010 presidential election as well as two years before and two years after – got a new appointment. Since 2012, when Zaitsev was dismissed, everybody wondered where his managerial genius would manifest itself. Was he assigned to the president's personnel pool? Will he suddenly emerge as an ambassador, and if yes, how remote from Minsk will be the country of his assignment? And finally, a piece of news: chekist Zaitsev has been appointed managing director of Cosmos TV, the company which has equipment in houses of many of us. News agencies are terse about it. It is reported that Vadim Zaitsev has been appointed to head the company "at the suggestion of the Belarusian partner", and that a participatory share of Belarus in the charter of Cosmos TV Limited stands at 50%, with the share of the Russian company Akado standing, respectively, at 50%. The online community reacted promptly to the new milestone in the biography of the former chekist: a guide "How to cancel your Cosmos TV subscription" is circulating online where users are invited to fill in an application form and to state "appointment of Vadzim Zaitsev as the head of the company" in the field "reason for cancellation". However, the appointment of the hero of Independence Square 2010 to head a semi-private company prompts quite a different reaction from those people who are prone to thoughtfulness and analysis. In the first place, this is a desire to pinpoint those "escape lines" from the civil service which every Belarusian top official has. Lately, a certain style has started to take shape in these situations. Shame on those who say that we have no tradition whatsoever of employment assistance to civil servants after the state stops needing them at their posts for some reason. The tradition is emerging. The trend of departure from the big nomenklatura to big business was set already by former Prime Minister Uladzimir Jarmoshyn (dismissed in 2001). In 2002, he became head of the representative office of MTS in Belarus (now, according to Wikipedia, he is employed by Vneshekonomstroy). In 2004, after the dismissal of Lieanid Jeryn, the head of the KGB, a second career canvas was laid out – to leave for Moscow after the dismissal. According to UDF.by, chekist Jeryn "advises" at the Russian Railways corporation. Accordingly, Ural Latypau (dismissed from the post of the head of the presidential administration in 2004) initially chose the path of Jarmoshyn, becoming the head of Lukoil-Belarus in 2006. Again, according to Wikipedia, he heads Direct Management Ltd since 2009 (development, Moscow). Former head of the Belarusian Railways Viktar Rakhmanko (dismissed in 2001 after having been accused of embezzlement) chose the path of Jeryn and was employed by Gazprom. Former assistant to the president Siarhiej Posakhau, according to UDF, got employment and worked until recently at LenSpetsSMU in Saint Petersburg. Russia was also chosen by former head of the presidential Property Management Department Ivan Tsitsiankou (dismissed in 1999) immediately after his dismissal (first, he worked in logistics at Itera and then opened his own business). 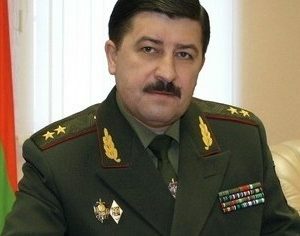 Head of the Interior Ministry Uladzimir Navumau also emerged in Russia (his last known position was advisor to Sergey Chemezov, managing director of the state corporation Rostechnologii). Aliaksandr Zimouski, former head of the Belarusian Television and Radio Company, who is banned from entering Europe, turned out in Russia. He says that he works as a "media consultant". Even a sketchy analysis allows seeing that Russia is a higher demand destination point than Belarus for former Belarusian "chiefs". 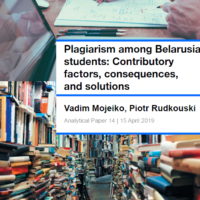 Possibly, because in Russia (unlike in Belarus) there is plenty of capital which, by their sheer volume, honoraria and bonuses, meets the career ambitions of people who were at the very top of the Belarusian power pyramid. At the same time, there is a feeling that Belarus is now afraid to let go officials of the rank of the KGB boss. In this regard, a lot has changed here since 2004 (Jeryn's dismissal and his subsequent departure). 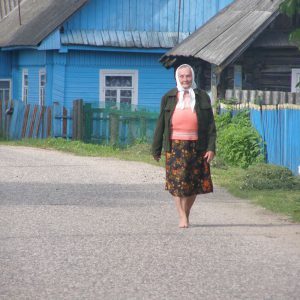 After several bitter scuffles in the Union State, Russia is no longer perceived as an unequivocally friendly country which shares its state secrets with Belarus and thus is quite a secure one for the trouble-free retirement for former powerful strongmen. The nervousness provoked in Moscow by news of Uladzimir Navumau's emergence in Moscow (and this is a person who knows quite a lot) is the best proof to this. However, Vadim Zaitsev's appointment to Cosmos TV can be regarded as a continuation of his service to the Motherland – this time, in another segment and in another capacity. As it is known, only now a large-scale wave of fight against satellite dishes has been launched in Belarus. Residents of tower-blocks say that their housing maintenance services gave them time till the end of July and then they threaten to sue them. The court's decision to dismantle the "illegally installed equipment" will be binding. Appointment of Vadim Zaitsev, a person clearly loyal to the state, to the management of one of the major providers of cable and over-the-air television can be seen as a continuation of the tactics of instilling order with satellite TV. Ultimately, the guide "How to Cancel your Cosmos TV subscription" will be absolutely useless if, after getting rid of Cosmos TV, the audience will have to spend time with the "alternative" in the form of three channels of the state-run Belarusian television. This article originally appeared on 17 June 2013 in Belgazeta in Russian.